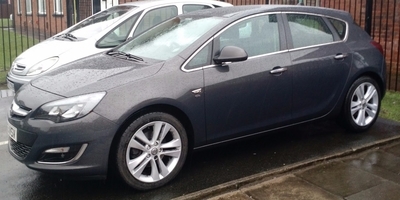 There was a recall on the clutch with engine code A20 DTH found in the 2.0cdti Astra and other models.if your car is less than 8 years old from the time the buttlin was issued I believe your car is untitled to it for free,if you have the following issues, load reversals knocking. When u accelerate in any gear at any speed then lift off there is a slight knock? On and off accelerate and listen for knocking.best to get the dual mass flywheel done aswel but you must pay for the dmf. Thanks for that, I don't have any issues with my clutch. Mine does actually knock but just put it down to it's an Astra thing. I get like a sort of click when I lift off too, I'll give Vx a ring! I just want to rectify what I said.. it wasn't actually a recall. It was a buttlin. If the customer complains about the issue then it is to be upgraded.if you show Vauxhall the pictures I posted, you shouldn't have any problems. Don't suppose it applies to the 1.7 too does it? (23:rd-Feb-2017, 18:58:04)sheppy1 Wrote: You are not allowed to view links. Register or Login to view. Don't suppose it applies to the 1.7 too does it? No just to the 2.0cdti with the F40 gearbox and A20 Dth engine. Hi, are you aware of any other issues with the clutch? my 2.0 cdti has developed a fault. when I accelerate in 5th and 6th , it gets to around 60-70 then sometimes its as if ive pressed the clutch in. the engine loses power and over revs like its not in gear?? If I let off for a few seconds then its normally ok. other times I have no problems? (3:rd-Oct-2017, 19:27:43)r6sporty Wrote: You are not allowed to view links. Register or Login to view. Hi, are you aware of any other issues with the clutch? My car is doing this when drove for about 20 mins... probably once warmed up. Got car in for service on Wednesday and mentioned this bulletin... they going to look into it. My local dealer said this is only covered under warranty!! Hello guys I have recently got a 61 plate astra and my 2.0cdti is doing exactly this in 2nd and 3rd so how do I go about getting vauxhall to fix it ? Do I need warranty and do I have to pay ? Current time: 25:th-Apr-2019, 07:49:22 Powered By MyBB, © 2002-2019 MyBB Group.